You Crack Me Up* is the most fantastic green glitter. I expected this to take a million coats to reach opacity, but it has a thicker consistency than I thought and it only needed 2/3 (depending on how fussy you are about patches). Shown with Gelish - Top It Off*. 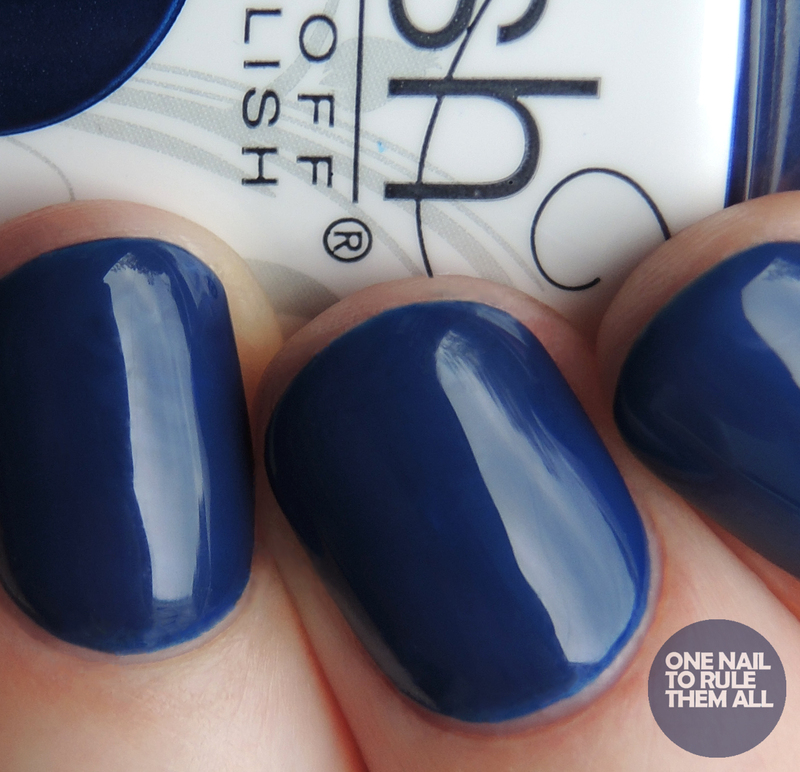 Baby It's Bold Outside* is the perfect navy creme, and is also a shade that can be worn all year round. This was 2 very easy coats, with Gelish - Top It Off*. As Baby It's Bold Outside* was such a striking colour, I decided it would be perfect to showcase Silver In My Stocking*, the glitter topper of the collection. 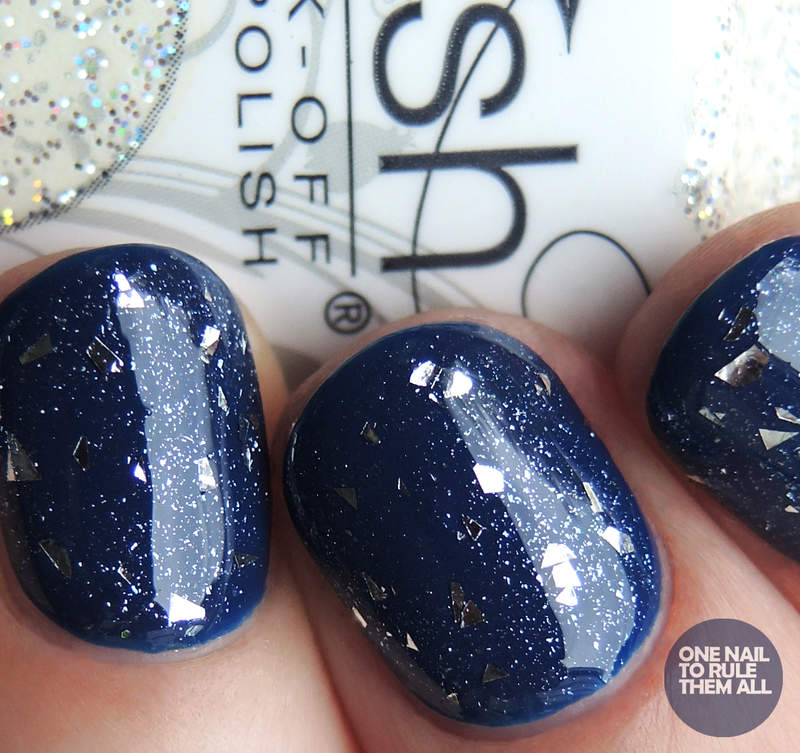 I didn't expect to like this shade, as I don't normally like shard glitters, but this works really well and definitely reminds me of snow! I did need some placement of the glitter, but that's to be expected. 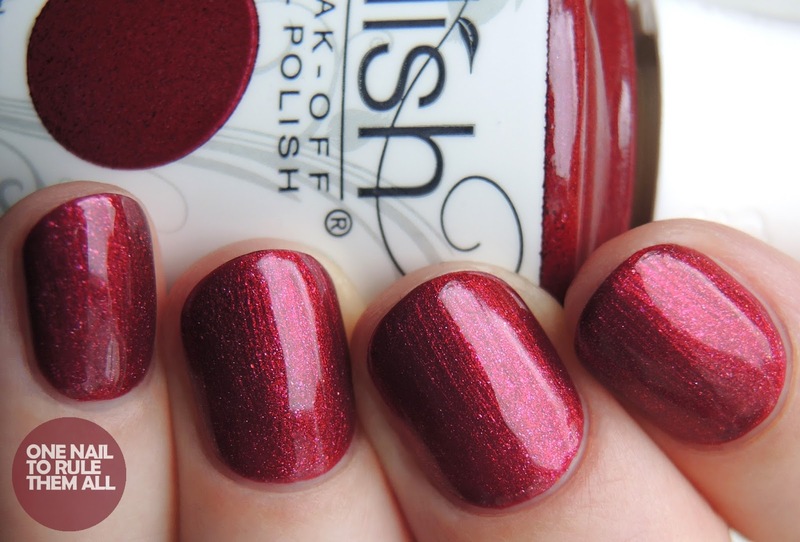 Plum-Thing Magical* is a truly stunning plum shimmer, and as I mentioned above it's my definite favourite from the collection. These photos don't do it justice, it shimmers in the light and ah I'm in love. 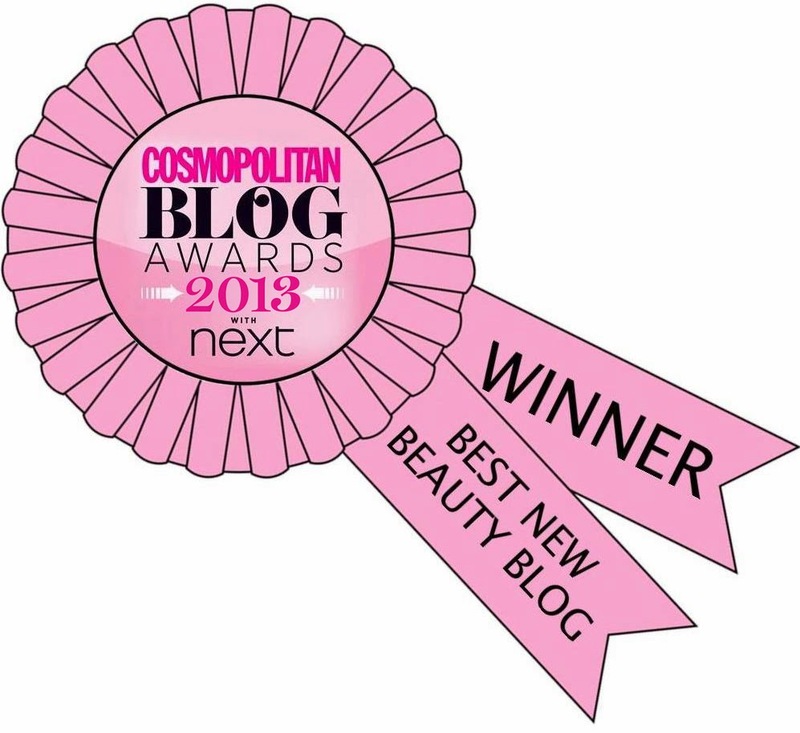 I'm sure you'll be seeing this one again on my blog! This was 2 very easy coats with Gelish - Top It Off*. Don't Toy With My Heart* is also stunning, and it's perfect for Christmas. I also love that with the white bottle it looks extra Christmassy! This was 2 easy coats with Gelish - Top It Off*. Dreaming of Gleaming* is a silver metallic shade. This was 2/3 coats depending on application, but I think you'd be better off with 3. Shown with Gelish - Top It Off*. 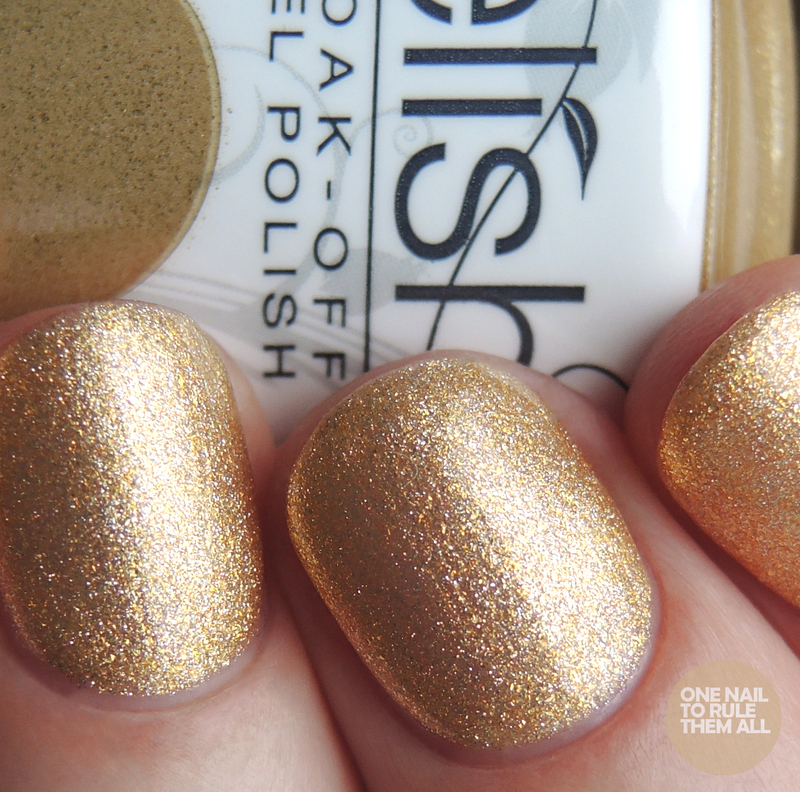 Just Tutu Much* is a metallic gold with a very similar consistency to Dreaming of Gleaming*. Again, this was 2/3 coats, but you'd be better off with 3. 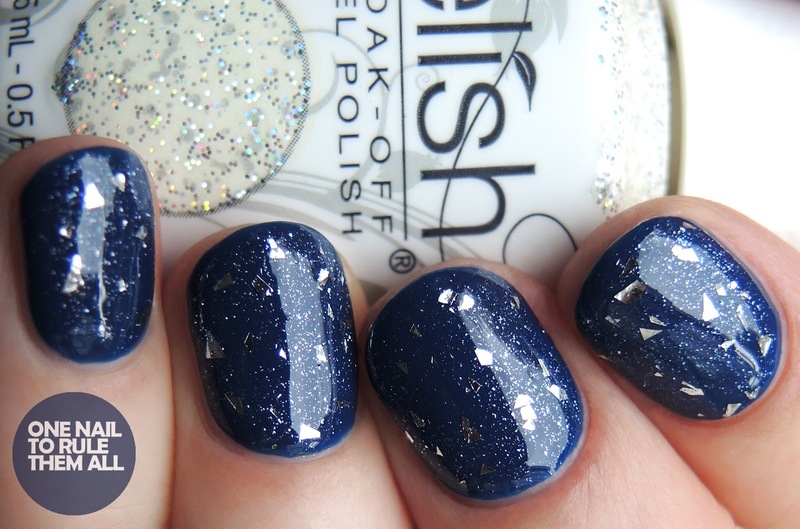 Shown with Gelish - Top It Off*. Overall I'm very impressed with the collection, it's such a great range for Christmas, and I'm sure there will be plenty of happy clients in salons around the country! 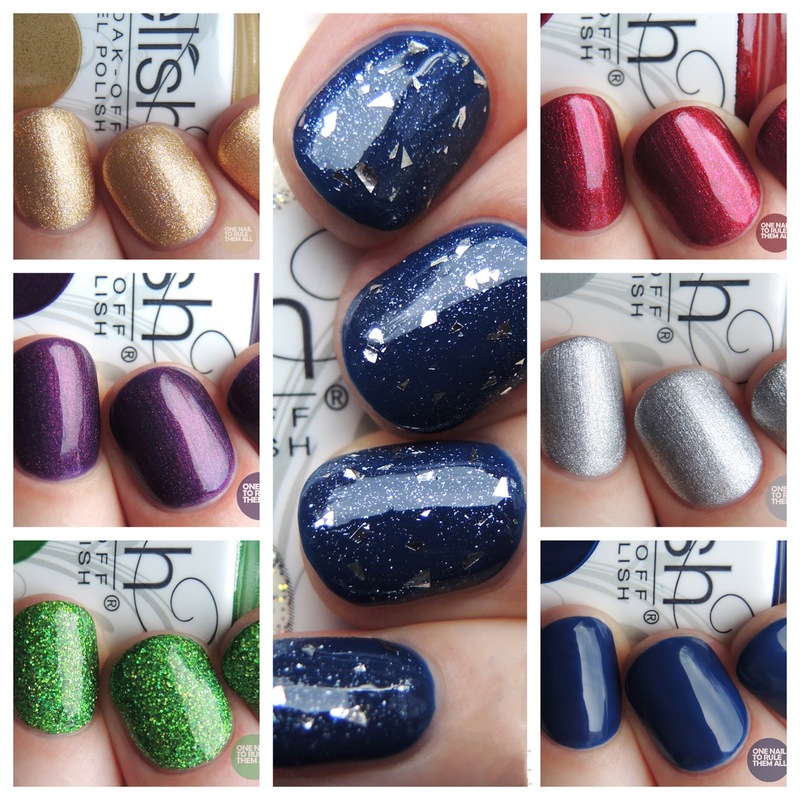 You can currently get the whole collection on the Nail Harmony UK website with a free travel case and poster, so if you like the look of them, don't miss out! What do you think? Have you tried the new Gelish bottles yet? Wow, some of these are absolutely gorgeous. Do you have any recommendations on a gel starter kit? Pretty sure I need that green in my life!